As part of the VCL Styles Utils project, I made a plugin (dll) to skin the installers created by Inno setup. The current size of the plugin is about 1.6 mb, but when is included (and compressed) in the script only add ~490 Kb to the final installer. Add the VclStylesinno.dll file to your inno setup script and the VCL Style file to use. Finally in the DeinitializeSetup function call the UnLoadVCLStyles method. The source code and installer is available on Github. As always all your comments and feedback is welcome. Categories: Delphi, InnoSetup, Tools, VCL Styles | Tags: Inno setup, Vcl Styles | Permalink. Thanks. This is a dll compiled using Delphi XE2, I used this version because produces smaller binaries than XE5. Nice! What is the minimum version number of Inno Setup required? Alvaro, The plugin was tested with the 5.5.4 inno setup version. Very nice addition to InnoSetup. Did find one small bug. Please feel free to email me for additional details. To replicate, just run the VCLStylesDemo project and cancel. The text in the Exit Setup dialog does not word wrap. You only see “Setup is not complete. If you exit now, the program will not be installed. You ma”. You are welcome and thanks for you feedback, the word wrap issue was just fixed. 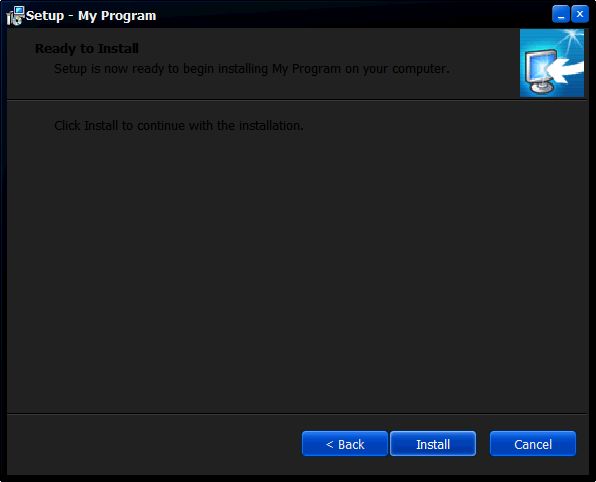 You can download the installer again and check. That fixed the problem. Ran into another bug when using a dark theme like Amakrits. On the License page the the text for the radio buttons (I accept the agreement/I do not accept the agreement) is black and thus almost impossible to see. The other text on the page is what and readable. Sorry but I can’t reproduce this issue. Can you please report this using the issue page of the project http://code.google.com/p/vcl-styles-utils/issues/list ? This bug was fixed in the last version (1.0.7.51). It seems which you are using the Ansi version of Inno setup, so you must import the function LoadVCLStyleA instead. But there’s one more thing. If you build multi-languages setup, the themes cannot apply on the first selection language. Hi Juan, please report this, using the issue page of the project http://code.google.com/p/vcl-styles-utils/issues/list. Thanks. It’s a wonderfull idea to customize setup but I have an exception in InitializeSetup() function on LoadVCLStyle() line… With the message “External Exception EEDFADE… Could you help me ? Can you please elaborate your question? but I have a problem in my old script m any help bro? Please use the issue page (https://github.com/RRUZ/vcl-styles-plugins/issues) of the project to report any problem. Thanks for the report. I just created (and fixed) a new issue in the project page (https://github.com/RRUZ/vcl-styles-plugins/issues/23) of the plugin. Try the new installer. Also if you want report any issue or suggest a new feature please use the issue page of the project. Ok the installer SetupVCLStylesInno.exe has a style, when I create using the sample I dont see any style change. 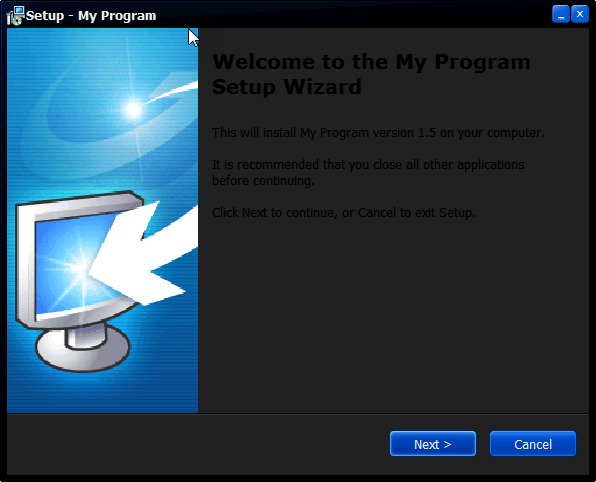 Currently using Windows 7 Pro SP 1, Inno Setup 5.5.6. Ideas? Hi Brian, please use the issue page of the project to report this, attaching the script which you are using. Really, we must download 3 GB of Delphi installation to compile the dll? I remember that time ago the installer was downloadable in this site, why you just don’t publish a release in your Github with the project COMPILED for those like me who don’t want to spent time (and residous) by intalling and unindtalling delphi IDE just to compile the project?. When I use the darker styles with InnoSetup the text is virtually unreadable. The font colour appears to be black when it should be white. Hey Rodrigo! thanks for your work! I tried using your dll in my project, but none of the skins are loaded. Even I tried compiling your samples and none of the skins are shown there either. I’m using Inno Setup 5.5.9 and Windows 10 64bit build 1703. What can I try? Please follow the instructions of the wiki page https://github.com/RRUZ/vcl-styles-plugins/wiki/Inno-Setup, Also check if you are using the UNICODE or ANSI version of inno setup. Hi, I’ve read many times the Wiki… followed all the instructions, triple checked my functions.. and nothing. Ah, the app VclStyleViewer.exe also doesn’t load any demo style, just Windows. Any clue? As I said, I ran the sample scripts and didn’t load any skin. If you need additional info about anything just tell me :) I’m using the Inno version that downloads the Quick Start Pack (I use the Inno Script Studio and ISSI). Erick, please open a new issue in the GitHub page (https://github.com/RRUZ/vcl-styles-plugins/issues) attaching all the info provided in your comments. like Windows version (full version including build number), Inno setup version (including if is Unicode or ANSI).